Designed with versatility in terms and draw weight and draw length, the Mission Hype DT is a must-see for youngsters, beginning shooters and any bowhunters looking for a pleasant-shooting bow. Mission bows are all about good value. One way to add value is to offer versatility in terms of draw weight and draw length, which enables young shooters to adjust their bow accordingly as they grow. Shooters can change draw weights or lengths as conditioning permits and improvements in shooting form allow. Not all Mission bows are designed with this sort of versatility in mind, but many are, and the Mission Hype DT is among them. 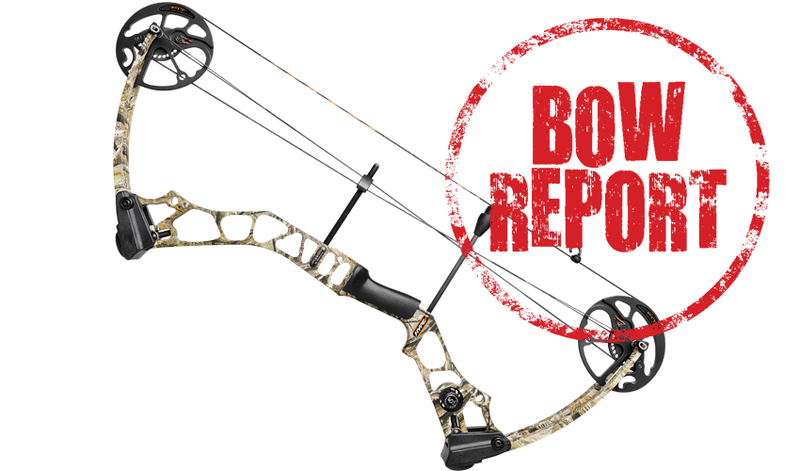 To offer quality while keeping prices in the moderate range, bow manufacturers often borrow technology from a sister company or from a different line of bows, and Mission (or more correctly, Mission by Mathews) frequently employs this strategy. At a glance, for instance, the riser, the new grip, the Dead End String Stop, the Harmonic Damper, the Zebra Strings and the Monkey Tails on the strings and cables of the Hype DT all owe something to former or current Mathews designs. Brand new on the Hype DT, and accounting for the 19-to-30-inch draw-length span, is the F.I.T. (Focused Inertia Tech-nology) Cam System, which is shared with two of the other three new bows in Mission’s current lineup: the Hype (which is the Hype DT minus the Dead End String Stop and the Harmonic Stabilizer) and the Craze II. The draw lengths are easily adjustable without a bow press. Draw weights on the Hype DT range from 15 to 70 pounds, which, together with the versatile draw lengths, makes this bow accessible to virtually any shooter. A top speed of 310 fps does not put the Hype DT into the barn-burner class by current standards, nor would that be a reasonable expectation in a bow with this kind of versatility and general shootability. To keep things in perspective, at a draw weight of 40 pounds or more and with the right razor-sharp broadhead, this kind of speed is more than adequate for hunting whitetails, and at higher draw weights is suitable for any North American big game. The test bow was finished in Lost Camo AT. The Hype DT features near-parallel quad split limbs with contrasting black cams, limb pockets, grip and cable guard, as well as black and orange Zebra strings and nicely understated logos. Despite what struck me as a slightly clunky-looking (though comfortable) composite grip, the Hype DT is a very good-looking bow overall. In terms of fit and finish, I found no machine marks, burrs or other visible flaws, and the coating passed the scratch test. Mission bows generally accommodate most accessories on the market, and I had no difficulty setting up the bow with our standard testing accessories, which include the QAD UltraRest and TruGlo sight. The Hype DT presented no difficulties in tuning. The limb bolts turned smoothly and easily without chattering or skipping. At 3.9 pounds the Hype DT is not a light bow, but the subjective impression is that it’s on the lighter side, possibly because of the compact axle-to-axle length and comfortable grip. And though Mission doesn’t hype this quality (forgive the pun), the Hype DT is among the smoothest-drawing bows I’ve tested in recent months. The Draw Force Curve reveals a gradual rise leveling off for a short time at peak weight then a gradual drop to letoff, with no humps, bumps or sudden changes. The valley is adequately deep so there is no grabbiness. The Hype DT does not have limb or cable stops to provide a rock-solid back wall, but this should never be an issue for any shooter who draws through the shot properly and adjusts to correct draw length, and the lack of that brick-wall feel does contribute to the overall smoothness of the draw cycle. At the shot the bow pops forward into the hand, but vibration is minimal. Noise levels are very good, which is to say this is a quiet bow. I hesitate to address accuracy when testing bows because it has been a long time since I’ve encountered a bow that was not accurate when properly tuned. Forgiveness is still a real if somewhat subjective factor in compound bows, though, and the Hype DT strikes me as a very forgiving bow. Any bowhunter can appreciate a pleasant-shooting bow, but for youngsters or beginning shooters, pleasant shooting means less fatigue and longer shooting sessions, which translates to increased accuracy and, eventually, extended range. This is a bow I would be happy to hunt with myself, especially if hunting from a treestand or ground blind. 385 grains 281 fps 270 fps 67.5 ft. lbs. 500 grains 248 fps 240 fps 68.5 ft. lbs. 64 ft. lbs. 385 grains 259 fps 252 fps 57.5 ft. lbs. 54.5 ft. lbs.